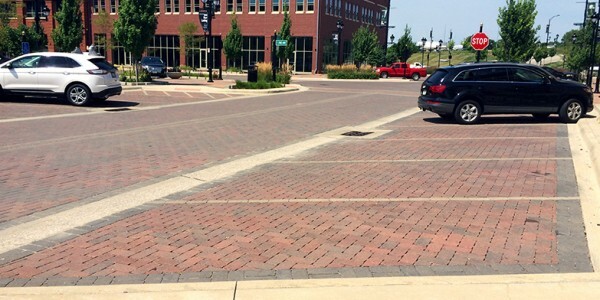 Coralville has utilized the intersection of the durability, functionality and aesthetics of pavers throughout the city for decades. 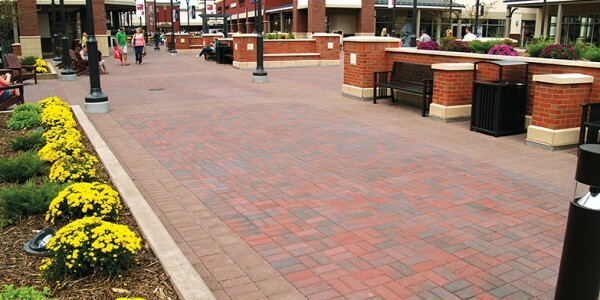 The recent development of the IRL into an upscale retail center immediately called for pavers. 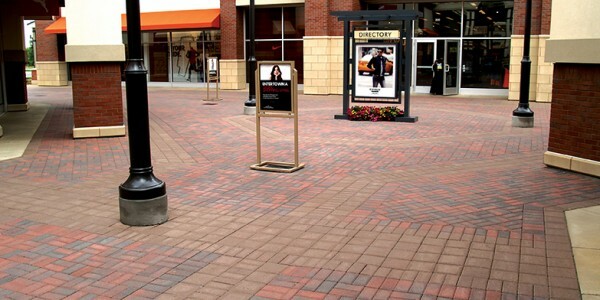 They are used to delineate center lines, parking stalls and separate spaces. 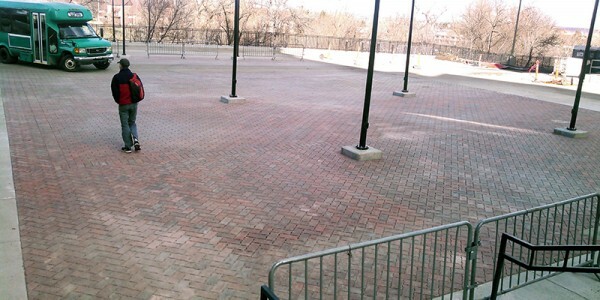 Permeable pavers were used throughout to successfully eliminate an existing flooding issue without compromising design or usable space. 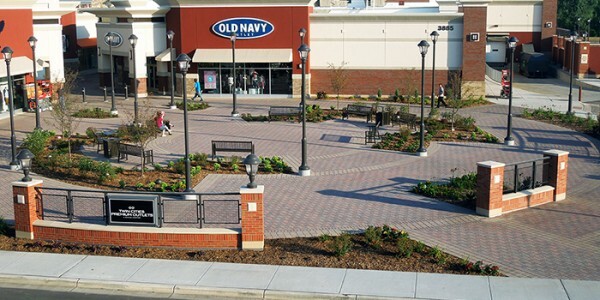 The use of pavers as the main pavement in this outdoor mall allowed the construction to stay on schedule while enhancing the appearance. 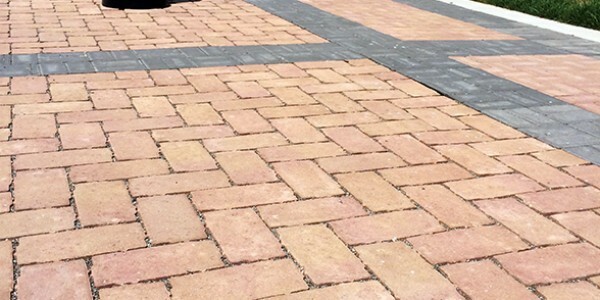 The original design called for stamped, colored concrete, but this could not be poured throughout the harsh winter, so pavers, which arrive to the jobsite properly cured, were used instead and the project was completed on time. 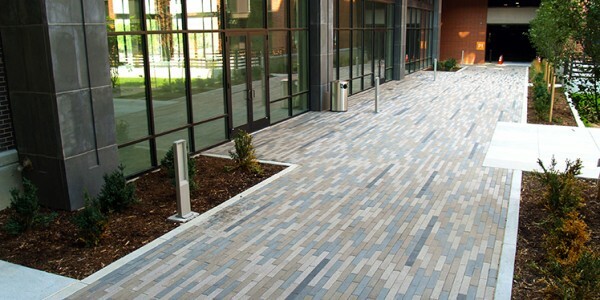 The unique look achieved on this project called for both a custom paver shape and custom colors. 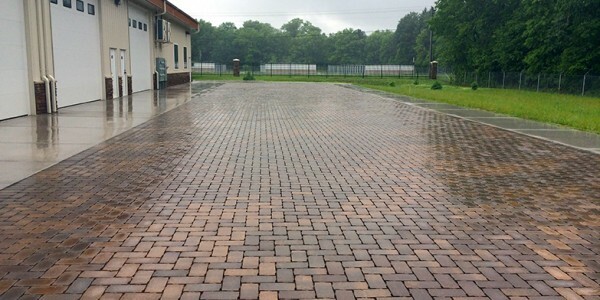 The Bulovar slab was inspired by an architect for a previous project and has since become extremely popular. 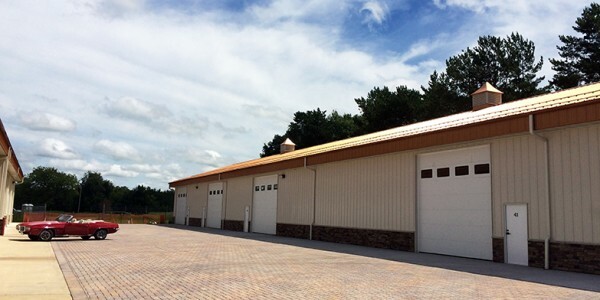 Joe’s business is building 2 story units categorized as ‘man caves.’ The choice to use PICP in the driving lanes was an economical one. 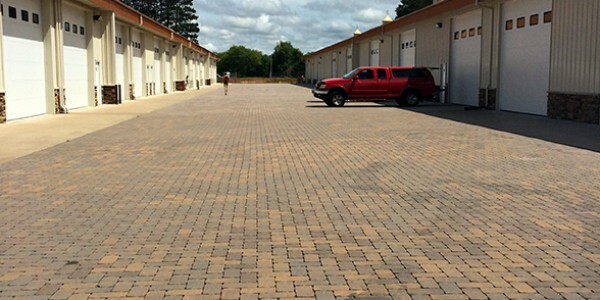 The amount of water infiltrated through the system greatly decreased the need for detention areas allowing 18 more units and an extra driving lane. While the initial cost was slightly higher compared to traditional systems, the revenue generated by the extra units every year and the additional aesthetic value easily offset the cost. 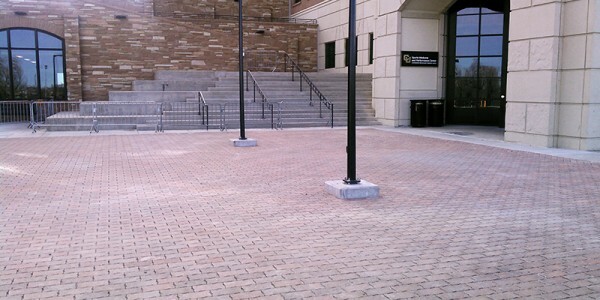 The University of Colorado at Boulder incorporated PICP into their campus’ stormwater management in 2009 to solve flooding problems and support a sustainability initiative. 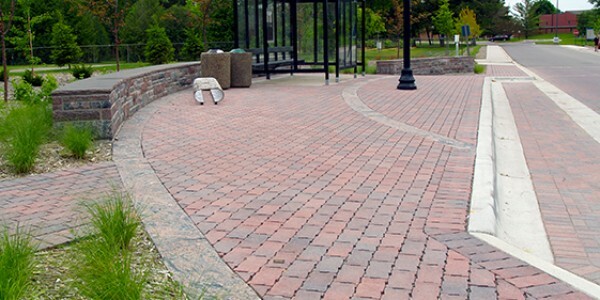 The pavers complement the existing Holland Stone throughout campus, which they began installing in the mid 1980’s, and maintain the unique character of the university, while preventing water from pooling and adding to runoff. 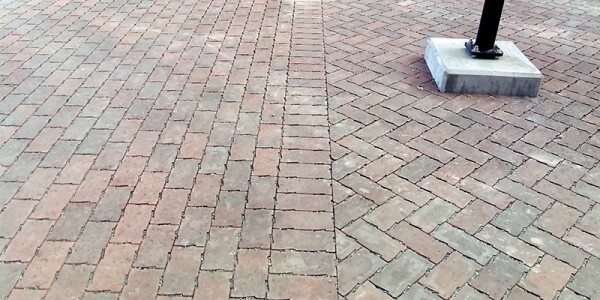 St. Ben’s has been using pavers to distinguish the campus and reduce maintenance needs for decades. 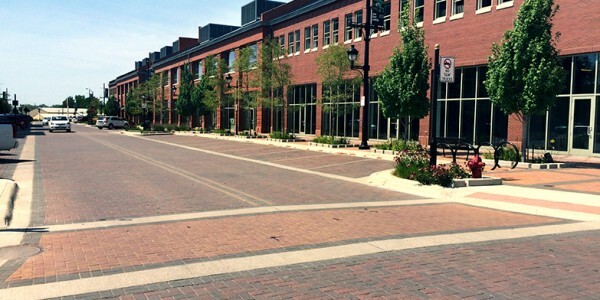 They recently included the use of permeable pavers at a bus station to reduce ice and infiltrate water back into the ground, without compromising the aesthetic. 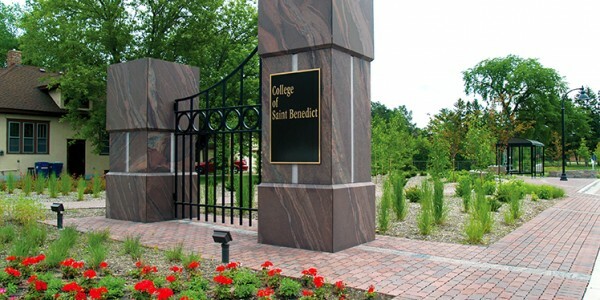 Pewter and Buff meet SRI requirements. 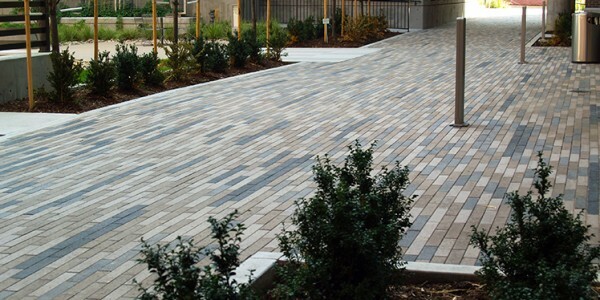 The EPA National Stormwater Calculator can be downloaded as a desktop application for no charge. 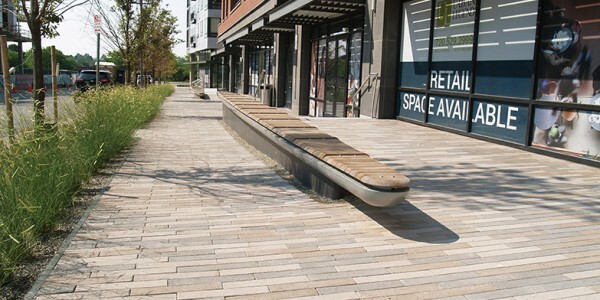 The calculator models runoff simulations and shows the effect of several green infrastructure options on runoff rates. 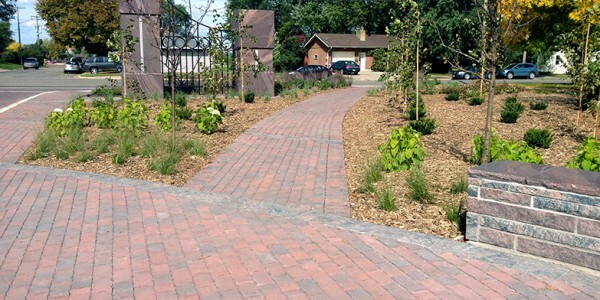 It is designed to assist a range of users, from homeowners to city planners to engineers in better understanding the stormwater management needs of a site.